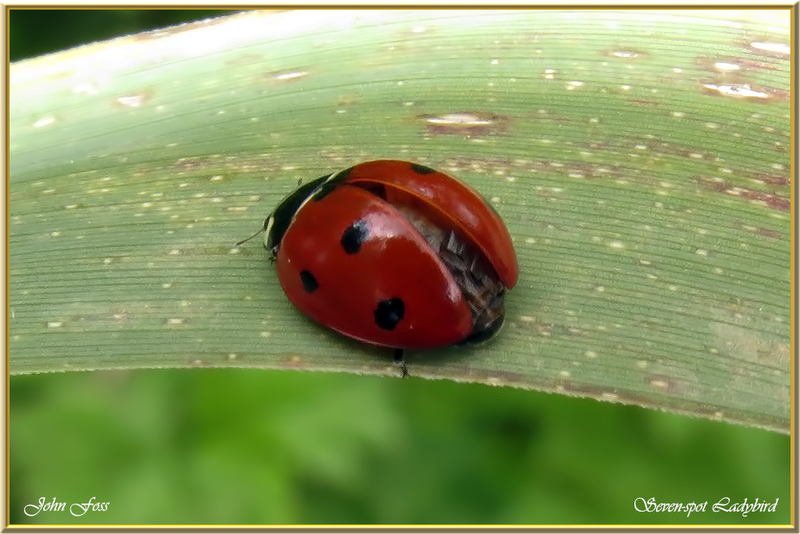 Seven-spot Ladybird - one of the peoples most well-known and popular beetles. Some of these colourful beetles have more or less than seven spots as the name suggests. A friend of gardeners as it feeds on aphids. They give off a yellow distasteful substance from the legs when threatened which puts off predators from eating it. 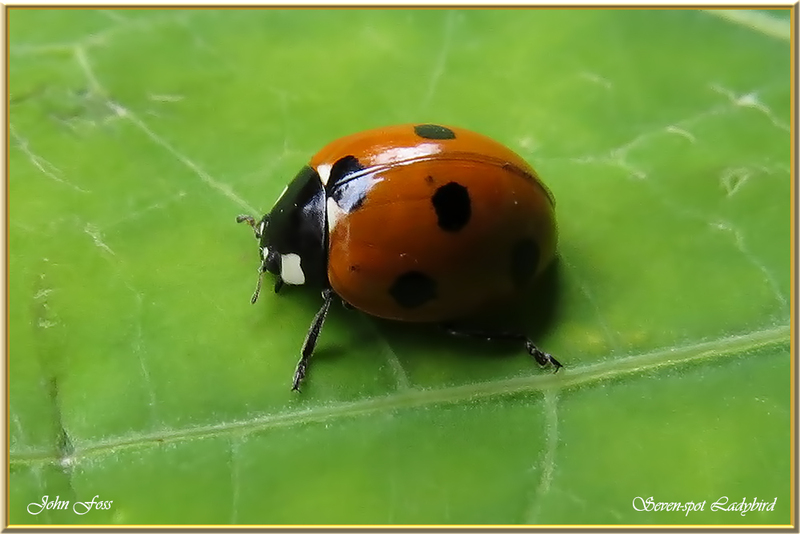 The Seven-Spot Ladybird is active from late spring through to autumn.